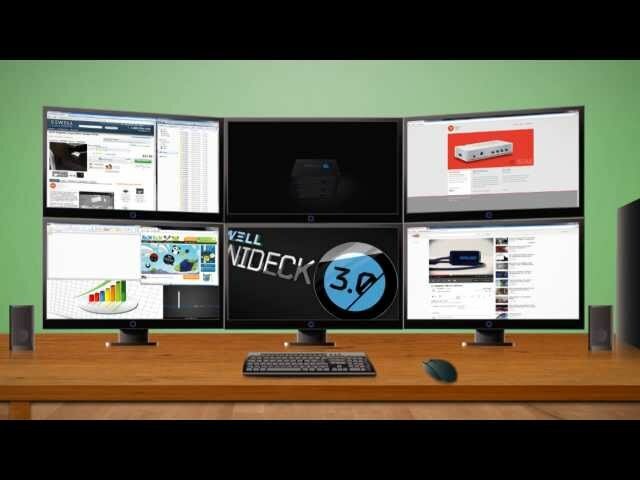 The Minideck is a revolutionary device that allows users to easily add multiple displays to any computer with a USB port. Basically it acts like an external video card; that way even high-end monitors and HDTVs can be used with any device or computer that has a USB port. The Minideck 3.0 features an upgraded chipset and USB 3.0 technology, which offers you the best USB graphics experience available. We live in an age of multi-tasking. Both at work and at home we need all of the screen space we can get. 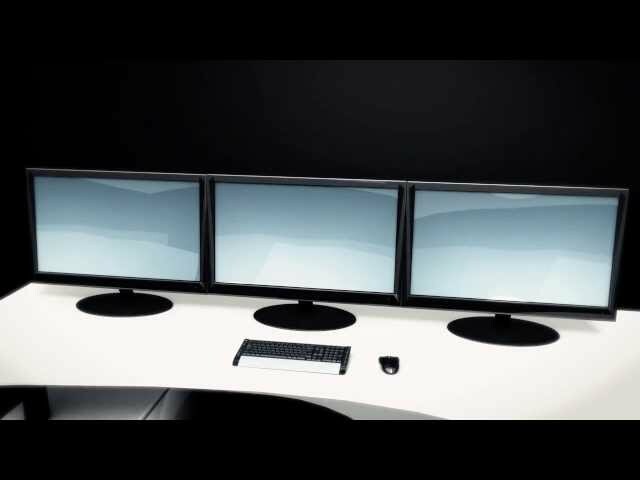 A great way to get that much needed screen space is by using multiple monitors. The problem is, our devices (and therefore our screens) are getting smaller and smaller, and most of these devices will only allow for one external monitor, and maybe not even that. That’s what makes the Minideck so great, you can easily add up to 6 monitors (up to 4 on Mac); all you need is a USB port. One of the biggest problems that people have experienced with any kind of external device is speed. Mainly this has been a problem with external hard drives, but speed is also extremely important in graphics and video. Slow transfer rates can give you choppy streaming and lag when watching video. The new chipset in the Minideck 3.0 has given the Minideck more speed and power than ever before. The speed of external video is determined by transfer rates. In order for your computer, the Minideck, and your monitor to transfer data, the data needs to be compressed. The process of compressing and decompressing data can affect your transfer rates. The Minideck 3.0 uses real-time adaptive compression technology, which balances compression methods from moment to moment based on content, USB bandwidth, and CPU power availability, giving you the best USB graphics at all times. SuperSpeed USB 3.0 is capable of achieving transfer rates of up to 5Gbps. That’s ten times faster than USB 2.0. USB 3.0 is also bidirectional, which allows your external devices to send and receive data simultaneously. All of that translates into fast, reliable video that you can display on multiple screens without lag. Remember, to take full advantage of the Mindeck 3.0’s capabilities you will need to have a USB 3.0 port on your device. Multiple Minidecks can be used together to add even more screens (up to 6). We've implemented magnets into the housing of the Minideck 3.0 to make it easy to stack multiple units, or to put the Minideck in an out-of-the-way place. That way you can keep your desk space clean, attractive, and clutter-free. There's a lot we only tell our email subscribers about.